Lichess is a completely free, open source chess website. It offers a host of features and analysis of games to registered members. 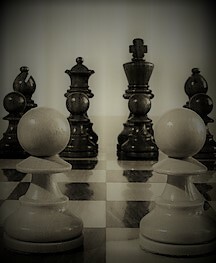 Chess.com through the simplicity of its name is the biggest chess playing site on the internet. It does offer many free resources but the more advanced features are in its paid membership benefits.